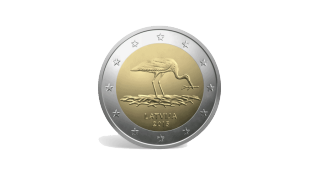 The Bank of Latvia has released the latest special 2 Euro circulation commemorative coin, this time with an image of a stork. According to the Bank of Latvia website, 2015 is the 30th anniversary of the Latvian Ornithological Society, and Latvia is the nation where almost 5% of the total global white stork nestlings are born. The design also recalls the 2001 1 Lats commemorative coin, which was the first special 1 Lats coin and also featured the stork. 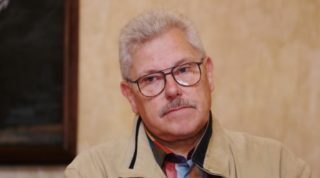 The stork design is by Olga Šilova, and the coin was minted by UAB Lietuvos monetu kalykla (Lithuania) and has a mintage of one million.